St. Albans has had a very interesting history outside of its Roman roots. The pictures below tell some of that story. 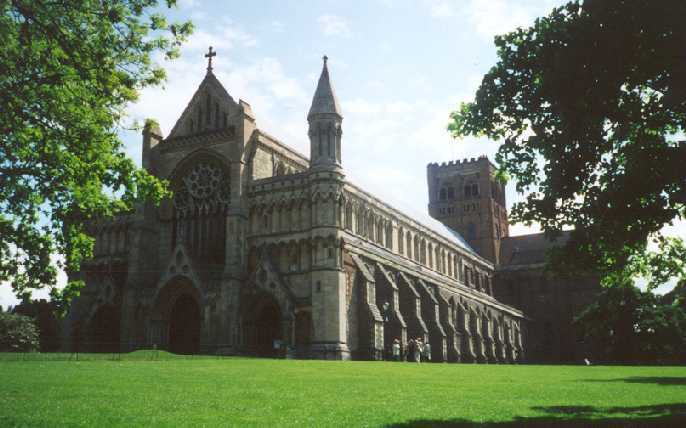 This is the St. Albans Cathedral. The cathedral started life as an abbey dedicated to the memory of St. Alban in 793 and dedicated as a cathedral in 1878. The original church at this location was built on the foundation of a Roman tower, with the present structure being built in the 11th century. According to legend, it is here that the body of St. Alban was buried after his execution. A shot of the main street leading into downtown St. Albans. 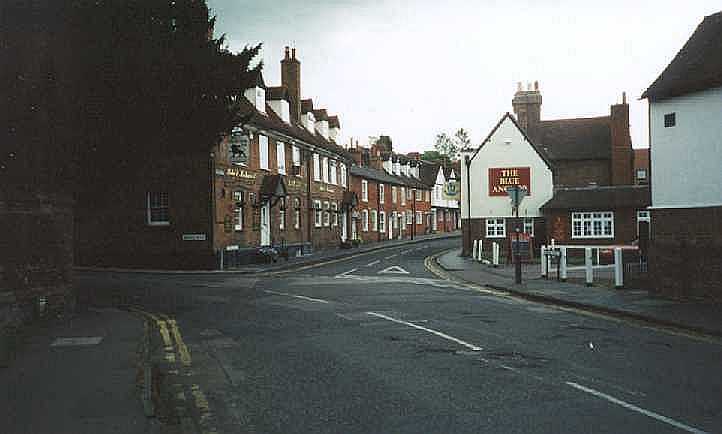 Most of St. Albans dates back to the 13th and 14th century. This particular street has buildings on it (including the pub on the right side) that date to the 12th century.